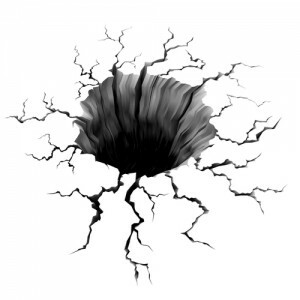 In a pair of sinkhole cases, different panels of Florida’s intermediate level appellate court recently compelled appraisal, and the decisions are instructive because they address both challenges to the procedure and also the question of who is qualified to serve as an appraiser. Today’s post will discuss Cincinnati Ins. Co. v. Cannon Ranch Partners, Inc., – So.3rd –, 2014 WL 5286519, 2014 Fla. App. LEXIS 17033 (Fla.Dist.Ct.App., Oct. 17, 2014) where the panel rejected arguments that the appraisal clause was unenforceable because it permitted the carrier to deny the claim even after an appraisal had taken place. Tomorrow’s post will then address who constitutes a “disinterested” appraiser. The case involved sinkhole damage to a piece of property owned by Cannon Ranch Partners, Inc. The property was insured by Cincinnati Insurance Company, and the contract of insurance included coverage for sinkholes. The dispute involved the necessary scope of repair. Cincinnati’s two consultants determined that grouting was all that was needed to restore the structure to its pre-sinkhole state, but Cannon Ranch’s consultant opined that underpinning was also needed, and the policyholder entered into a contract to have that done. Cincinnati refused to sign off on the work, however, and it made a demand for appraisal instead. Cannon Ranch refused to participate, and it filed a breach of contract suit. The insurer responded by moving to abate the litigation and to compel appraisal, but the district court denied the motion. On appeal, a panel of Florida’s Second District Court of Appeal reversed, and it remanded for the entry of an order compelling the appraisal proceeding. [T]he question of what repairs are needed to restore a piece of covered property is a question relating to the amount of “loss” and not coverage. Ipso facto, the scope of damage to a property would necessarily dictate the amount and type of repairs needed to return the property to its original state, and an estimate on the value to be paid for those repairs would depend on the repair methods to be utilized. The method of repair required to return the covered property to its original state is thus an integral part of the appraisal, separate and apart from any coverage question. . . . [T]his dispute falls squarely within the scope of the appraisal process – a function of the insurance policy and not of the judicial system. Cannon Ranch points to no statutes or public policy considerations that are violated by this “retained rights” provision. Moreover, controling Florida law permits “retained rights” provisions, and these provisions do not render the appraisal clause unenforceable. See State Farm Fire & Cas. Co. v. Licea, 685 So.2d 1285, 1288 (Fla. 1966).